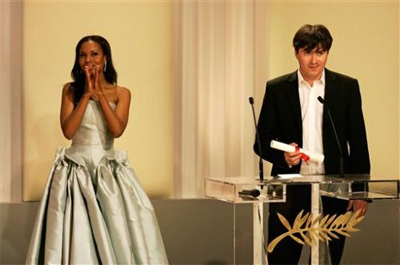 This is the second subsequent year the Romanian film industry wins an award at the Cannes Festival after Cristian Mungiu won the Great Trophy in 2007. The young Romanian director Marian Crisan won the Palme d’Or for Best Short film at the 61st edition of the Cannes Film festival for the production “Megatron”. 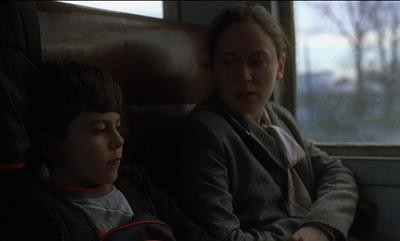 For this debut appearance at the Cannes Festival, Marian Crisan was accompanied by Cristian Mungiu, the director who brought Romania the first Palme d’Or for Long Film in the Romanian film industry, at the previous edition of the festival. The Award was handed to Marian Crisan by the President of the Cinefondation and of the Short Film section, Hou Hsiao Hsien. Maxim lives together only with his mother in a village near Bucharest. It’s Maxim birthday. He’s turning 8. For the birthday party, his mother will take him to Bucharest, to Mc Donalds. Maxim will do anything to meet his father who lives in the city.